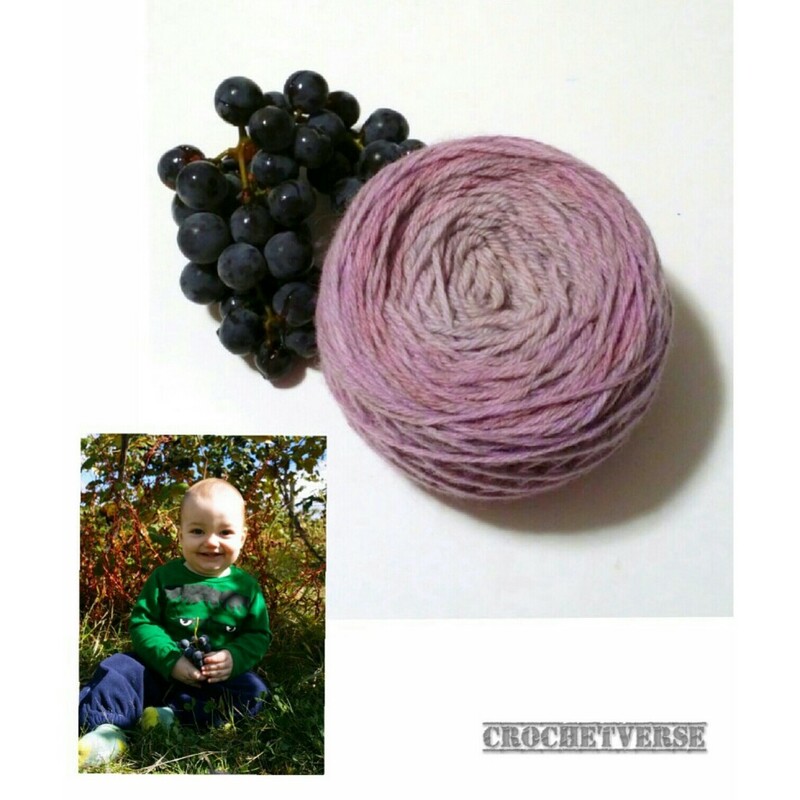 Crochet Grapes Pattern & Dyeing Yarn with Grapes! I’m fortunate to live in an area where, with just a short drive, I am surrounded by miles and miles of beautiful vineyards, not to mention, bottles and bottles (and BOTTLES!) of beautiful wines! 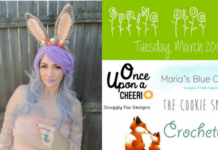 So, if you’re inclined, grab some yarn and some wine and read on for some amigurumi and yarn dyeing fun! 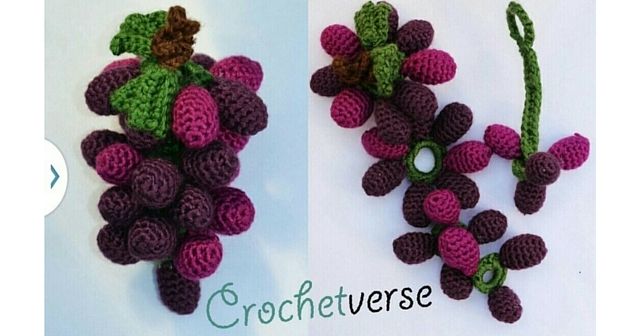 If you’re on of those super fancy folks who can crochet with wine (this is NOT me, I think I’m being a shear wizard with yarn and when I wake up the next day, I’ve got nothing but a lot of frogging to do! ), grab a glass and get started, then as your working, be sure to post pictures on my Facebook Page HERE so everyone can see how super talented and mega cool you are! Look at that orchidy purpley hazey ball of beauty…. just look! Once I had filled all the jars I had with bubbly, hot, full of pulp, grape jam, I still had tons left over. SO naturally, I had to use this in someway related to yarn. It was really quite easy! 5 STEPS only! ONE: Choose some yarn that is undyed and 100% natural, such as 100% cotton or 100% wool, I’ve used wool in my example. THREE: I heated some water in a large pan until it was just at a simmer, You need to not do a full boil because 100% wool will felt and be ruined if you do. Add 1/4 cup of plain old salt to that simmering water. Now, keeping the heat at mayeb 1 or 2 on your stove (I MEAN LOW) gently lay that yarn into the water, and let it sit in the water for about 30 minutes. Don’t agitate the yarn or water, this will also cause it to felt. Just swish it around so it’s fully submerged and evenly wet. This process is to PREP the yarn for dyeing and also helps natural dyes to set better. FOUR: While the yarn is in the salt bath, prep your natural dye. I slipped the purple skins off of about 4 lbs of concord grapes (the pulps were used for juice, but that’s another story), I blended them in my food processor until they were the absolute finest they could be, a slurry of sorts, then, I pushed that slurry through a fine mesh sieve to get as much of the pulp out as I could. Now, pour that strained slurry into a bowl either plastic or glass (not metal, the acid in the grapes can react) that is just large enough to house the yarn, add about 1/2 cup very hot simmering water to the slurry so it will fully saturate the yarn. Goal: Do not over dilute the dye. Remove the yarn from the salt bath and gently wring it out (no twisting), and set it in the dye bath. Now….LET IT SIT. I let mine go over night, flipping it over and manipulating the hank from time to time so all the strands were covered. That’s IT! Now, keep in mind, natural dyes are more delicate than the artificial stuff, so between the yarn being 100% natural and the dye being 100% natural, anything you make with the yarn should be gently handwashed and laid to dry. You still may have some slight fading over time, but there really is nothing as satisfying as taking something from the Earth to a finished item with your own two hands! Be sure to ask questions or show me your yarn on my Facebook Page HERE!